Eco-ethical fashion. Never heard the term? That’s because it doesn’t exist. Yet. Farm-to-table restaurants, electric cars, eco-travel—there are sustainable trends hitting every industry. I love it. What I don’t love is that it’s taken so long to hit my industry…the fashion industry. The good news? We’re seeing sparks of change. Many big brands and retailers chase trends and even promote fast fashion as a good thing. In my opinion, fast fashion is the root of the issue that starves the industry of the ability to go green and consistently adopt ethical practices. Buy a shirt for $7, use it for one season, toss it, start over. Yikes! It’s so wasteful and so unnecessary. There are many high-quality clothing brands available these days. I have clothes in my closet from 5-plus years ago still going strong. But I had to pay for that quality and admittedly it was a hard pill to swallow at the time of purchase. Prices are about as cutthroat as they come in the fashion industry. The general population isn’t interested in paying more than $50 for a pair of jeans. The cheapest option usually wins! As a kid I remember begging my mom for jeans that were at least $50. That was 20 years ago. Have you ever heard of durable consumer good whose price did not increase over time? Me either. Except for that top you’re wearing. I own a clothing company. I know these issues and I still have trouble paying $45 for a top when I know I can buy one that looks similar for $8 at Target. On the other hand, I’ve essentially cut cheap fast food out of my diet. I fork over way more cash for healthier and less wasteful restaurants. Why? Because my health is a huge priority to me. I can see, feel, and taste the benefits to paying more. It’s a little harder to convince someone that when they pay for an ethically and/or sustainably made cardigan they're doing themselves and the world a favor. So yes, there are major challenges for the fashion industry to get on board with sustainability. Despite the challenges, some incredible things are happening. Here are a few trends to keep an eye on. Not all fabrics are created equally green. In fact, most fabrics leave a large footprint in their wake from creation, to dye, to shipping across the globe, to landfill. Even fabrics made from materials like cotton aren’t always the eco-friendly choice due to the enormous amount of water, pesticides, and land that cotton needs to grow. On the other hand, cotton can be an ideal choice because it is naturally bio-degradable. If you’re going with cotton, go for organic cotton. You can also look for fabrics made from bamboo, modal, tencel, wool, silk, linen, hemp and recycled materials. But be wary, even these fabrics aren’t perfect. As the name suggests, repurposing fabric is using material for a purpose other than for what it was originally intended. 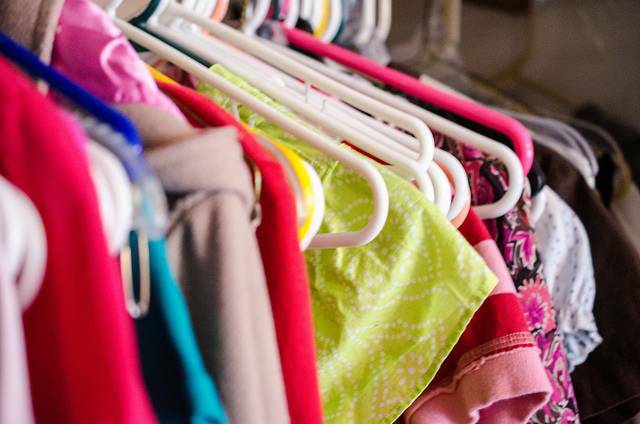 Unused fabric lots can pop up for a variety of reasons, but often are a result of large-scale clothing producers discarding leftover lots of fabric that are too small for bigger production runs. Smaller-batch clothing companies like Noya can repurpose these small lots. This is where I love to swoop in and grab the fabric before it gets tossed in a landfill. Patagonia gives tutorials on their website on how to fix common issues with well-used gear and gives customers the option to sell and purchase used gear. They also pledge to never let their products see a landfill through their Reuse and Recycle program. Remember that cutthroat pricing I mentioned earlier? Move your production to a facility with fast-turnaround and low labor costs and prices plummet, but it’s often at a social and moral cost. Human rights issues aren’t going away until regulations are in place. That will likely mean higher prices for consumers and transparency for retailers. No matter what your political views are on shopping American made, if you live in the United States, “Made in the USA” is often a greener and more ethical choice. The USA has higher standards for working conditions and pay that are also more likely to be enforced. As for the environment, there are tons of resources used to ship items across the globe. For instance, a typical piece at Noya will be sampled at least three times before we move to the next step of production, the sizing stage. After sizing is sorted we move to a full production run. Each stage requires fabrics, patterns, and other materials shipped. There are a minimum of 16 shipments completed for each item before the product ever arrives on a consumer’s doorstep. Imagine the difference between shipping from across the globe to shipping within the United States (or even better, within a particular state or city). It adds up. Fast. Every industry creates a carbon footprint. Our best bet is to reduce how much we consume as much as possible and to proactively support our environment. Companies that support environmental causes are proactively focused. The best way to encourage these partnerships is to support companies who have them. We chose to partner with Trees For the Future to help alleviate our inevitable environmental footprint despite our other efforts to be green. For every product you purchase at Noya, we plant 10 trees. Learn more about where your clothes come from. Spread awareness by sharing articles like this and the ones mentioned here. Demand more of the brands where you shop. Shop higher quality and shop less. Christine Reppa is founder of Noya, activewear made for women by women. She is an environmentalist, women’s rights activist, yogi, and adventurer. You can read more of her musings at the blog on her website noyayoga.com.